The CAP is delighted to congratulate Robert Myers on being appointed the new Director of Perimeter Institute. 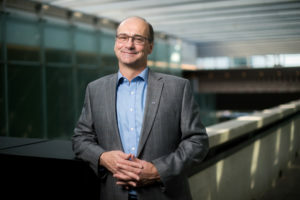 Dr. Myers holds a PhD from Princeton University and has held positions at the University of California and McGill University, before joining Perimeter Institute in 2001 as a member of the founding faculty. As Perimeter’s new Director, Dr. Myers will also hold the prestigious BMO Financial Group Isaac Newton Chair in Theoretical Physics. The CAP congratulates Robert Myers on this position and looks forward to this exciting new era. More information can be found on the Perimeter Institute website here.